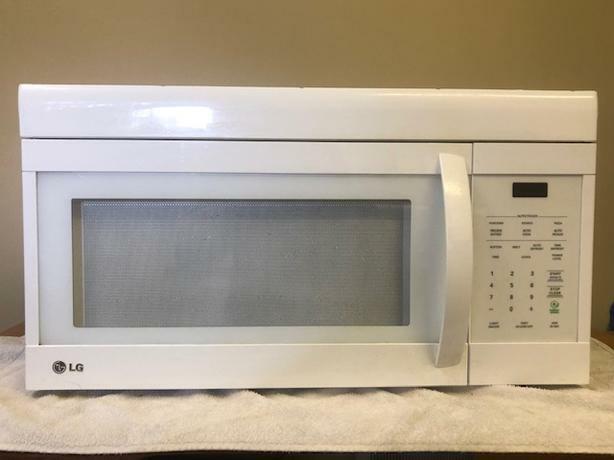 White LG Microwave oven/over hood fan. Excellent condition. 2 years old.